Know someone who simply loves purple? This bouquet will keep them happy. 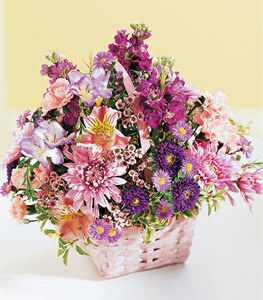 Purple Matsumoto aster, purple stock, and purple freesia welcome just a touch of pink and lavender in this sweet basket. Great to send for any occasion.